Home Air Duct Cleaning | How Often Should Chicago Homeowners Clean Their Ducts? As fall begins, homeowners across Chicago and the suburbs begin preparing their heating systems for the cool weather. Most people understand the importance of annual furnace maintenance. However, they often give less thought to the air delivery system itself. The importance of home air duct cleaning is a fact that is lost on many homeowners. While many may view cleaning their air ducts as un-necessary, the truth of the matter is that everyone should do it at some point. When and how often is a matter of the external and internal environment of your specific home. Many homeowners only have a home air duct cleaning performed once, or not at all. Some pay for the service when they move into a previously lived in home, while others may hire an air duct cleaning company every couple of years. Here is our breakdown of how often an air duct cleaning should be performed. If your home has a basic furnace filter and you suffer from allergies, you should probably have your ducts cleaned regularly. Unless you never open your windows, keep your house free from dust, and have a dry basement with no mildew or mold, this is a pretty good schedule. Dust, allergens, mold, bacteria, and other unpleasant debris lurk in your ductwork compounding allergy symptoms. If you install a high-quality air scrubber, you will not need to have your ducts cleaned as often. The National Air Duct Cleaners Association recommends that homeowners have their air ducts cleaned every 3 – 5 years. If you take care of your home, have an air cleaner, and don’t suffer from respiratory diseases, you can definitely go at least 5 years. It really does come down to a homeowners individual circumstances. Home air duct cleaning removes debris such as dust, pollen, mold, and bacteria. How Can Home Air Duct Cleaning Benefit You? Removal of Contaminates: If you have large amounts of dust, debris, pet hair, etc, duct cleaning can benefit you. 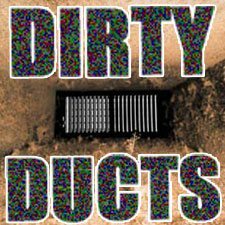 Mold: If mold is in the ducts in your home, a duct cleaning can aid in remediation. Illness: If you, or someone in your family suffers from a respiratory illness (or allergies) a duct cleaning can help. While there are some bad apples out there when it comes to air duct cleaning services, you can do a few things to ensure a good experience. First, don’t fall for a deal that is too good to be true. Deals like these often come with loads of add on charges. Next, choose a company that performs other heating and cooling services as well. HVAC companies understand all of the aspects of your system. Lastly, always get at least 3 estimates. By having multiple companies quote your job, you can have a better understanding of the costs and procedures associated with the service. 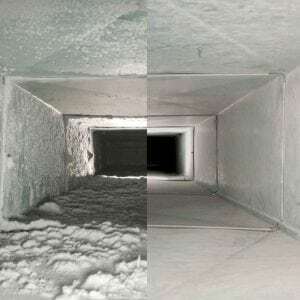 If you are interested in learning more, or to schedule a home air duct cleaning, contact us today for a FREE estimate.